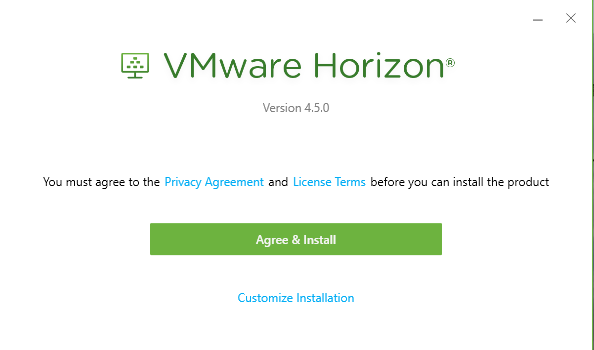 The following instructions will cover downloading, installing and configuring the VMWare Horizon Client to access virtual software. To use the virtual software client, you must be connected to the Lehigh network, either with an Ethernet cable, via Lehigh wireless, or over the internet via the VPN. Learn more about configuring the Lehigh VPN on your device. 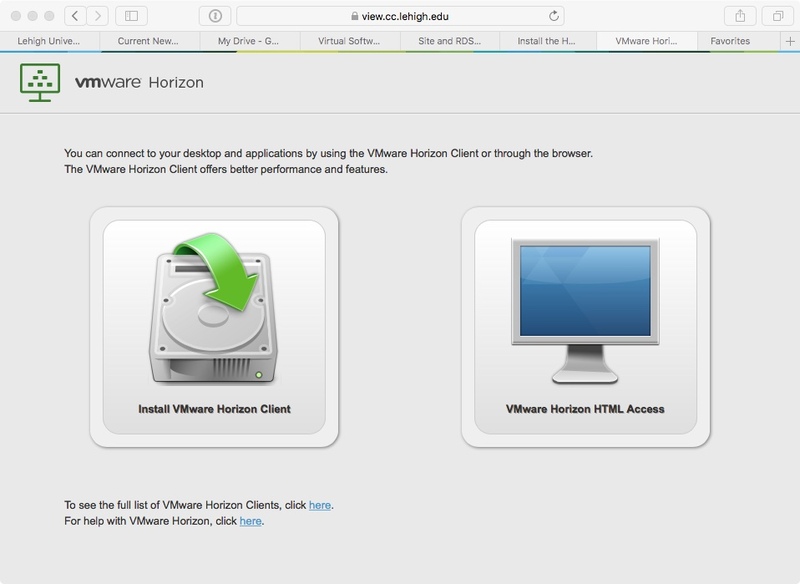 Navigate to the VMWare Horizon page at https://view.cc.lehigh.edu/. Select the icon for Install VMware Horizon Client. 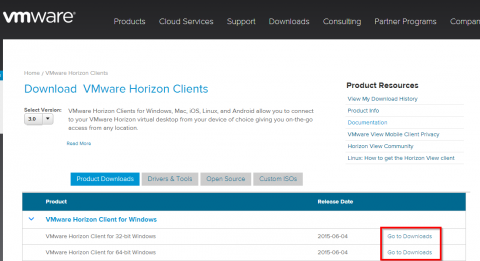 Under the section for VMWare Horizon Client for Windows, look for the appropriate client for your version of Windows. Note to Windows 10 users: Choose the standard Windows option. Do not choose Windows UWP. Select Go to Downloads for that particular listing. On the product download page, click the large blue Download button. Find and Run the installation file that you downloaded. When prompted, reboot your computer (be sure to save your work and close programs first).